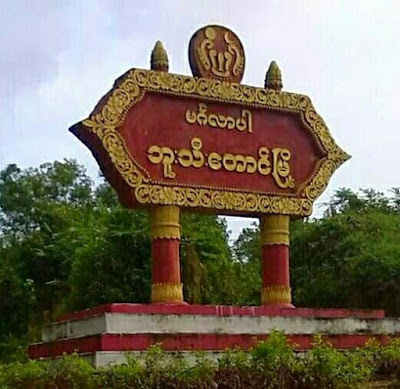 Buthidaung, Arakan State -- 22 Rohingya villagers in Buthidaung Township were sentenced to three-year imprisonment each on Wednesday (Mar 28). On 16th August 2017, Security Forces conducted raids at 'U Hla Pe' village in Buthidaung and arbitrarily arrested 49 Rohingya villagers. After that, they were detained in the Regional Camp of the BGP (Border Guard Police). Afterwards, 25 were of them released from the BGP camp in the 'Nyaung Chaung' region on ransom. According to the villagers, the remaining 24 arrestees were sent to the Buthidaung Prison under the false charges of Criminal Sections 17/1 and 17/2. Later on, Section 17/2 was dismissed and they were continued to be prosecuted under the Section 17/1. Of these 24, Araf Ullah and Eliyas have been set free on 28th May, while each of the remaining 22 has been handed with three years in prison. "(Before their verdict was announced,) one of the them had paid 7.5 million, while another has paid 7 million, to the judge as ransom for their releases. The remaining 22 were sent to the prison under three-year imprisonment to each (as they could not pay the ransom)", reported a villager. "The remaining 22 Rohingyas who have been arbitrarily sentenced to three years in jail are innocent" he continued.